Rev. Dr. Martin Luther King Jr. was gunned down fifty years ago today on April 4, 1968. It was a turning point of the twentieth century, marking an ending and a beginning. It was the end of one phase of the Black Freedom struggle, and the beginning of one of the most volatile periods of U.S. politics since the Civil War. Dr. King was a Baptist minister, a prophetic visionary, a great coalition builder, a moral pillar, a polarizing figure, a movement strategist, a practitioner of nonviolence, a radical reformer. King was arguably the greatest progressive leader of the past century. One the one hand, King’s life and his assassination seem distant after five decades. At the same time, it is haunting to know that King could be alive today had he lived on. He was only 39 when he was killed. Perhaps it is a natural obsession to wonder what King could have been had he lived. What would he do today? What would he say about Trump? How would he respond to the issues of the day? Truth is, we don’t know. But we can learn urgent lessons from his life’s work. There are so many things to reflect on today: Dr. King’s profound impact on U.S. culture and politics, his inimitable voice of moral authority, and his leadership of the most eventful social change movement of the 20th Century, which brought about a huge shift in public consciousness about race and racism. And yet, fifty years on, we must acknowledge the lack of progress in both civil and human rights. Perhaps it is King’s final mission which has the greatest lesson for us today. In King’s final years, he turned increasingly to confronting the challenge of economic inequality. After the passage of the Civil Rights Act of 1964 and the Voting Rights Act of 1965, formal legal equality had been won, though not fully implemented. But de facto discrimination and segregation persisted. He saw that Northern cities which had nominally been free from Jim Crow’s explicit bigotry were still plagued with pervasive poverty and inequality. Beginning in 1964, President Lyndon B. Johnson’s War on Poverty began to address these urban ills. Its programs began to redress hunger, poverty and rampant health inequities. But the expense of the U.S. war in Vietnam, and the neglect of Congress, put Johnson’s War on Poverty on hold. And already welfare programs that served poor people of all races were being identified with African Americans in order to slander them. In the mid-1960s, black inner cities were seething with anger. Then came the “long hot summer” of 1967, when riots broke out in over one hundred and fifty U.S. cities like Atlanta, Boston, Tampa, New York and Chicago. The National Guard was deployed in a dozen states to restore order. The most serious rebellions erupted in Newark and Detroit, reshaping these major urban centers. The image of stability the U.S. prized in foreign relations was seriously undermined, as were the gains of the civil rights movement in addressing racial tensions. The Kerner Commission, which President Johnson convened to get to the bottom of the 1967 riots, issued a report in March 1968 that proclaimed “segregation and poverty converge on the young to destroy opportunity and enforce failure” in the country’s inner cities. As the sixties progressed, the Civil Rights Movement’s focus on achieving equal standing under the law and ending legal discrimination seemed to hold few remedies for the volatile mix of institutional racism and class oppression that plagued the majority of Blacks in the U.S. The Movement’s undeniable victories had exposed a deeper and more powerful enemy. So King began to develop the idea of a Poor People’s Campaign, calling for a massive mobilization of Black, Native American, Latino, and low-income whites along with the labor movement and others to Washington D.C.
King and his organization, the Southern Christian Leadership Conference, planned actions that would be “nonviolent, but militant, and as dramatic, as dislocative, as disruptive, as attention-getting as the riots without destroying property”. The plan was to end business as usual in the country’s capital and put inequality at the top of the agenda. The Poor People’s Campaign would pair these radical tactics with an even more radical bid to reshape the U.S. economy around a moral vision of equity, dignity and shared prosperity. King’s new mission would shake capitalism to its foundations. The Poor People’s Campaign went forward in the wake of King’s killing. But the campaign was overshadowed by the riots that burned in Black communities in response to his murder. The tactics of the campaign and its visionary promise remain unfulfilled. Today, many of the achievements of the Civil Rights Movement have eroded or are under attack. Explicit segregation has been replaced by de facto segregation with equal effect. What’s more, Black students are increasingly economically segregated: In 1993 Black students attended schools where low income students made up 37 percent of their peers. By 2013, that same figure for black students is 68%. Fifty years after MLK’s death, millions of people in this country – of all races and backgrounds, urban and rural, young and old – still struggle to make ends meet. What few economic gains working families have seen in recent years cannot make up for decades of stagnation and debt. Communities and neighborhoods are devastated by generational neglect. Most of us have benefitted little as the economy has expanded. Growth and prosperity have largely enriched the rich even more. 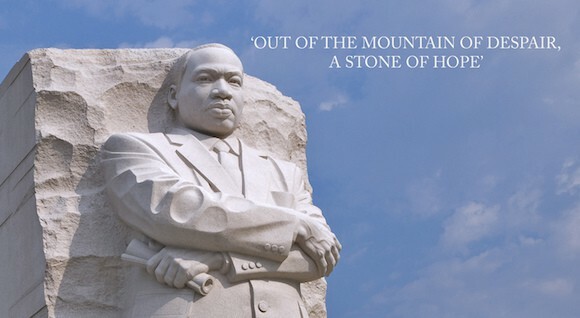 Fifty years on, King’s example still stands as a legacy for us all. His vision of a radical reshaping of the economy is more urgent than ever.